Today’s tournament report comes to us from Eric Boivin, winner of the recent Toronto Regionals. Montreal will have its own regionals next week, but me and 3 other players decided to make the 6 hours ride to go try our chance at one of the two Toronto regionals. Doing a long ride for a tournament would reminisce me from my early years of the Decipher Star Wars CCG, and in a game as competitive as Netrunner, I knew it would be a blast, especially since we’ve met already a few people from the Ontario Netrunner community. They came in a few of our tournaments here in Québec and showed great result, it was our turn now to go test in what would be the biggest Netrunner tournament in Canada so far. We quickly assembled a crew of 4, we booked a hotel and we were ready to go! We playtested heavily with decks that fit our styles. I knew pretty early that I wanted to go for NBN Making News with Midseason/Psychographics. The deck is brutal thanks to its multiple paths to victory, but is not not that easy to pilot since there’s a lot of game state analysis required compared to an astrobiotic deck, which is in my opinion more of a one-trick pony. Runner was much harder. I think the consensus is that the current post Honor & Profit meta offers lots of viable archetypes, but since the corp meta is more heavily toward taxing than hard locks, it presents less of a rock-paper-scissors environment, which I think Upstalk will change. I ran Reina Siphon/Rook and Chaos Theory Workshop for the last 2 tournaments, but neither convinced me. So the morning before the tournament, I decided to go for Andy Parasite, which fits my aggressive style. We talked a lot during the 6 hours drive and I made some changes, mainly to the corp deck. I decided to move away from the traditional 3 Pop-up Window suite and I think this was the right choice. In a meta full of Andromeda and CT/Kate builds, you need to have more of a game plan than mere annoyances. You need to prepare against Legwork and R&D interface runs, something that Pop-up Window does nothing against. I had pretty solid decks, but the tourney proved me that I made some errors in my Andy deck, but that its consistency and pressure (and an unhealthy amount of luck) would solve things up. We arrived at the amazing 401 Games store after a very short night of sleep. We were so impressed by the location, the games selection and the prices! We knew also that the day would be tough, seeing a lot of the big guns in the North-East American scene! After a fun game of Love Letter, the tourney started and it was time to get serious! On with the games! By the way, I started taking notes later in the tournament, so sorry for the lack of details in earlier games. At 59 players it would be 6 swiss round with cut to top 8. Sadly I didn’t have a bye since I finished second in the two store championships I went to. Dom from our carpool had one but he forgot to bring it, which in the end cost him the top 8. Pro-tip: these byes make a huge difference. Things started ugly for me. His early Magnum Opus fueled runs gave him so many agendas off the top of R&D, he quickly reached match point. I managed to lure him into a 9 strength Midseason but he snagged the last agenda before I could Psycho-Beale. His defenses were mostly based on Pop-up Window and Viper, which Yog.0 and two Datasucker took easily care of. He did a timely virus wipe, to which I followed with an Inside Job to get back the precious counter allowing me to have nearly free runs. 2 Bastions could have stopped me but Parasites took care of them. I mulligan and I get a Plascrete, which saved me a lot because he was in position early in the game to SEA-Scorched me. But once I managed to out-economy him, followed by 2 Account Siphons he was out of the game. Right at the start, he tells me that it’s the first time he has played against NBN. This helped me a lot since I knew I could induce some mistakes. I install advance a NAPD contract which he ran but couldn’t steal, so I scored it on my turn. I then bluffed another NAPD by installing an Astroscript behind a Draco and advanced it. He thought he would get me the turn after by installing Knight, hosting it on the Draco and run. In normal circumstances he would have enough to steal the bluffed NAPD Contract but he didn’t expect a strength 8 Draco on his last click run. I scored my Astro and he kept the tag. He thought he had the game by Account Siphoning me 3 times, getting up to 7. But I knew that these runs would make me win the game. I even didn’t rez the Warparound which would prevent the runs to allow him to land his Siphons. I didn’t mind because I knew what was coming. I then install-advance a Beale, adding the astro token for 5 points and the win. This game was incredibly long. Running a Red Poncho deck, all my runs were expensive and he killed an early Yog.0 with Komainu. He never drew agendas so for the whole game he was making small advances to counter my various assaults. He took a lot of time to think for every round, but I always feel bad to ask to speed up or call a judge. But well, with only a Passport and no way to get through his remote, he ended up scoring 3 Nisei. Knowing that the round was almost over, I lost a bit of patience but I knew I could still win this in a few minutes. He managed to steal an early Astroscript. I Midseason him for a bunch of tags and then Psychographics an Astroscript. I thought I was in good shape, but I couldn’t assemble the win. In the mean time, he spent entire turns slowly clicking Opus and clearing tags. Eventually time is called. He doesn’t get an agenda on his last run, so I win 1 prestige point with my 6 points to 5. At this moment I was quite disappointed because I believed that I lost all my chances for top 8. With only 6 rounds and 7 prestige, I could barely hope to make it, because I would need a perfect run and as the rounds would go my opponents would also improve. 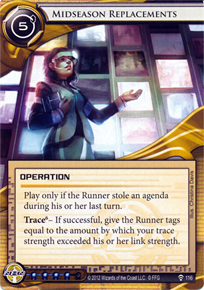 I trusted my decks and my ability but it’s so easy to lose in Netrunner thanks to bad luck or a punishing mistake. I was really upset, barely distracted by the colorful pride parade that was going on in the street right in front of the store. In an early run I see an early Scorched Earth and I plan my moves accordingly. I don’t remember much about this game, but I pulled a win without much difficulty. I was facing the second Reina Siphon deck of the day. He managed to Siphon me hard, getting to something like 17 credits but I topdecked a Closed Account. I could then go with the triple Astro train and he couldn’t do much about it. Timely Jacksons helped me to survive his attacks. Seth never had seen Security Testing played before and it totally hurt him. I was able to make lucrative runs every turn while dancing around all the traps. I also got to snag two agendas from his hand while he had 3 shocks. He had good defenses, but my economy made it possible to go through his defenses. I couldn’t believe that I made it up to this point. Getting 4 wins in a row was almost a miracle in my opinion! I knew that with my results, including the 1 prestige point for the timed win that I was pretty sure that both of us would make it to the top 8 if we split. If the tournament rules allowed it I would have proposed a split, but this isn’t Magic so we had to play it. His economy was strongly based around Eve Campaign, which I could use to fuel my security testing. He had to protect them, so that made protecting his other servers more difficult. He scored an early Advanced Beta Test which put two ice on the board, making my position even harder. I spent much of my turns spending 3 clicks on runs through Eli 1.0 for R&D accesses. His Ichi 2.0 destroyed my rig, but since I was able to run without a rig, I could then skip it. He also managed to score a Priority Requisition, so I had a lot of pressure since we were tied. He installed an agenda on what I feared was an Ash. I calculated my money and Planned Assault for an Inside Job on his remote, bypassing Tollbooth. Hopefully, it was a SanSan. Once I accessed, I had exactly 4 to steal an NAPD. Such a tense game… I knew now that I could make it to top 8 with my 17 prestige as long as one of the higher seeded matches didn’t end up in a split. I scored 2 early agendas while he stole a breaking news. I fast tracked to get the third astro, thinking I would be saved. He managed to find same old thing/legwork but missed it. He gets up to 3 R&D interface and his luck was terrible. I was drawing like crazy to get an agenda, hopefully a Breaking News, but his runs didn’t show many agendas. We were both at match point and tension was huge. I eventually did use my third Jackson of the game to get a Beale, but I had to wait for next turn to score. He did a last chance run on R&D, I Jackson 3 Hedge Fund to decrease the agenda density and finally score the Beale at my turn. I knew that Paul was quite disappointed because luck totally failed him. He was in a great position, and I said sorry for it. However, for having been on the same exact situation before, I knew the feeling and I had to accept that I couldn’t do anything about it. So well, I made it! After being so down for the first half of the tournament, I had a perfect run for the second half, against incredibly strong opponents. I finished at 19 prestige point, 1 behind Jack, the winner of the other Toronto regional. It would be a very tough top 8! I was accompanied by JP from our crew, with his Jinteki Personal Evolution and his Kit deck. For the rest of our group, Nicolas finished 17th with his FaerieDust deck and his amazing Mushin No Shin Harmony Medtech deck. This deck was the star of the day for me. After every round, I wanted him to tell us what happened in his corp deck. If you had a chance to play against it, you had the chance to witness pure genius. Interviewed in the last Terminal7 podcast, Damon Stone suggested to players to not fear breaking new ground when preparing for a tournament. The two decks brought by Nic and JP were both decks built to break new ground, and they did great with them. Everybody knows how to play against the top deck, but facing a skilled pilot with a Jinteki trick deck with all the new tools they have is truly fearsome. I was glad I didn’t face them, even if I knew their decks! Dom, who’s probably the best player from Montreal ended up his tournament in disappointment. He was 9-1 before his last round, but his luck let him down against Maria. With 18 prestige point he had enough for top 8 but the tiebreakers cut him at the 10th position. If only he had brought his bye, he would have made it to top 8 and 3/4 of our crew would have made the top 8. Anyway, the 4 of us did great and we were very proud of our performance. On with the elimination! Being higher seeded, I decided to start with Runner since I knew he was playing AstroBeale and I knew that I had a good matchup against that. However, it wouldn’t be a walk in the park! Arto is a well known player/TO from Finland who was visiting Canada. I ran like crazy on every front to steal everything I could get. I was not scared of Scorched or Midseason so I was using all my resources to trash his San Sans and Account Siphon him so that he can’t use the Biotic Labors I saw many times in his hand. I had to get revenge against the one who eliminated Dom! She made huge loads of cash with a Magnum Opus to run through my heavily iced R&D and remote. I was luring her with NAPD/San San/Jackson in my remote, so her turns were mostly, Opus, Opus, Opus, Opus, then run on the turn after. After a Maker’s Eye I spotted a good window to lure her with a Fast Tracked NAPD Contract for match point, and then Midseasoned her. I managed to Psychographics the last Beale I had in hand for the win. We were the only two undefeated players in the bracket, so the winner of this would get to the final. 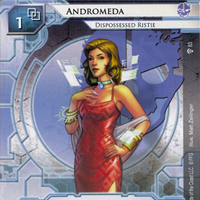 I was already in the top 4 and I gladly played with my newly acquired plastic Andromeda! Dien is a very talented player, so I had to be very cautious against him. I mulliganed a hand full of icebreakers to go for the economy. He did me some damage with Tsurugi, Wall of Thorns and Komainu but a good sequence of Parasites, Emergency Shutdown and Account Siphons did the job. I was systematically trashing every economy asset I could find, because he had a good remote set and I couldn’t allow him to have the cash necessary to score it. At 4 points, I found a Future Perfect and hunted for it. I think it took me 3 tries but eventually I managed to score the 3 points. And there I was, heading for the finals undefeated! At this point, it was way past the store’s closing time. The employees were kind enough, but at this point we had to find something else to play the loser’s bracket final between Maria and Dien. We went to a nearby McDonalds. It was packed, but me and the Montreal crew actually went outside. We were commenting the match, being able to see both of their hands. It was truly awesome. We felt like sports commentator, having all the information to analyze both players’ action. This made us want to maybe try one day to do live commenting! I wanted Maria to win, because I knew that I had better chances against her decks to get one of the two victories needed. But Dien had a huge economy advantage and Maria did get punished a few times. At 2 point, she went for a Legwork run. We knew that Dien had 3 agendas and 2 Snares in hand. For us, the game was over. But no, she managed to snag a two pointer, get one of the two Snare! and finally pulled the Future Perfect. When both players were extending their fists holding their credits, time kind of stopped. They opened it, and score! Congratulations Maria! We were cheering for the moment, she sure was the underdog for this matchup! Time for me to face my destiny! We rolled and I had the chance to pick the starting side. I chose Andromeda. The reason being that I thought my stamina was good and that the late hour would make it possible for Maria to make more mistakes in her runner game if I put it after a tough aggressive game against my Andy. However, I didn’t know that fatigue would eventually catch up to me after 12 hours of nonstop play. I was graced with an amazing starting hand: 2 Datasucker, Desperado, Security Testing, Account Siphon, Plascrete Carapace, Special Order and Daily Casts. It’s hard to wish for better. She however started with Sweeps Week, but well, that’s the risk when you’re playing Andromeda. I spent most of the early game to get an economic advantage with Security Testing runs, followed by runs on R&D and HQ. R&D was protected with Pop-up Window and Tollbooth, which I parasited with my numerous tokens. That was my first important mistake: Mimic is useless in this matchup. I should have gone straight for Femme Fatale with my Special Order, keeping the Parasite for something else. Her HQ was only protected with Guard, which allowed me to also do 0 cost runs, but since I was never seeing any agendas in my R&D runs, she didn’t have much in hand, unlike Biotic Labor which I kept accessing. At this point, Security Testing, my MVP of the day came biting back at me. I picked HQ and drew into an Account Siphon. However, I learned that you can’t Siphon on the first run while Security Testing is on. Maria was kind enough to let me take it back, which I was very thankful for. I could have run it on click 3, after going for the Security Testing run but that would leave me tagged, and I knew she had a Closed Accounts. In the end, it wouldn’t have changed much since I was getting money hand over fist and I would recover easily from it, but in the end, I kept it for the turn after and she couldn’t find a way to prevent it. I was delaying the inevitable. At this moment, the game totally turned. I knew she was digging for an agenda, just like I was. After a Jackson turn, I ran on my last click and stole an Astroscript, which would have made her win the game since she was at 5. I heard the murmurs of the onlookers, I had been very lucky for that one! It was now a tough battle to find the last agenda. She Fast Tracked for a Beale, meaning she would be winning the next turn. I however had a Legwork in hand, and tried my chance first at R&D for a cheap win since I counted that the odds were good for me there, but no agenda. I then moved on my second click, ready to go for the 3 runs for the prized Beale. I Legwork, heart beating fast. First card, no. Second card, no. Third card, BAM! Project Beale for the win! I immediately congratulate Maria for the amazing games. She put a tough fight for everyone she met and this game totally destroyed me! After a round of high-fives with the Montreal and the Toronto players, I was offered my very prized Nationals bye and my trophy. There’s only what, 58 regionals to be held worldwide this year? Having the privilege to be one of these is a huge honor for me. This amazing day wouldn’t have been possible without my fierce opponents, who pushed me to do my best. Thanks and congrats to every single one of them, especially Maria! Also, there’s some players which I haven’t played against but made the whole event very enjoyable, such as the well known Bad Publicity crew. 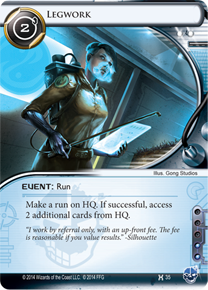 Next, thanks to everyone that takes time to make competitive Netrunner what it is. All the podcasts, videoblogs, streamers, strategy posters on StimHack, BGG and Reddit. 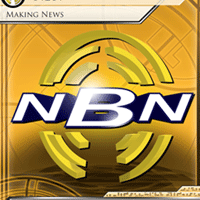 Information is the key in Netrunner and while playing is essential, having a solid community makes it possible to have such a challenging level in a game that is still in its first steps. Second, Nic, Dom and JP for making the trip with me. We worked very hard to prepare for this trek and it paid off. The four of us either ended up making the top 8, or being only 1 win away from it. At such a big event, it is a big accomplishment. Me winning the event was nice, but having the four of us working as a team and all doing good was great reward for our efforts. When I also heard that JP managed to give five brain damage to the reigning Toronto champion, that was great! We definitely want to try this again! Sadly, I won’t be able to join them for the Canadian nationals since I already planned to go to GenCon, but I am sure they will continue to spread the punishment. Finally, props to the organizer, Victor, for running such a well organized event. His calm attitude, despite the chaos going on was a huge reason to the success of this event. He distributed extra prizes, answered every rule question and was very fun to talk with. The 401 Games was very gracious to have us there, and we sure did thank them back by stocking up on a lot of boardgames!